First off, I’ll preface this just like my other articles. I encourage you to get your Amateur Radio license. 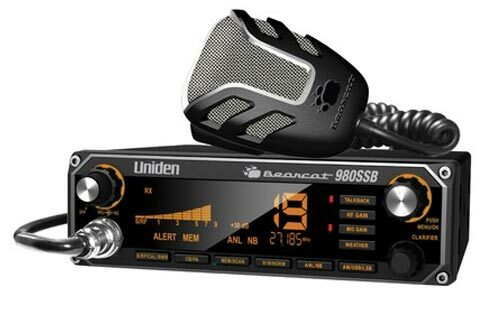 CB Radio is a great tool for truck to truck communications, or possibly enjoying making long distance contacts from the top of a mountain in the middle of a clear dark night. I don’t see CB going away any time soon and the debate continues on that subject daily. My disclaimer and suggestion. Even if you get a CB radio, go get your ham radio license. It costs less than $10, and studying to take the test is very simple. With your technician license you can operate both 2 Meter, and 70 Centimeter. ( I know that is a lot of technical mumbo right now) With a radio less than $100 on Amazon you can talk around the world via various radio repeater networks, and the communications quality far exceeds old AM CB radio. So, you want still want a CB for your rig? Let’s get some general basics out of the way. I’ll try to keep this all as much plain language as possible. Debating the best manufacturer is like debating Chevy over Ford so we wont waste time there. Let’s talk about features first. NOAA Weather Channels: Most of the places that I travel, I can never receive the NOAA channels. They are great around town or in areas where you do receive them, especially if your radio has the Auto Alert feature that sets of the tones when you have warnings/alerts. USB/LSB: Upper and Lower Sideband communications tends to be more for CB enthusiasts than trail running. This mode is used more for long distance (DX) communications and relies heavily on atmospheric conditions. It really wouldn’t have much use on the trail. ANL/NB: (Analog Noise Limiting/Noise Blanker) Very good feature especially if you want that radio to be quiet unless you’re be talked to by someone on the trail. Noise Blanker also helps reduce static from ignition systems, motors, etc. RF Gain: Great feature that allows you to adjust the receiving strength of the radio. Again, this allows you to adjust for transmissions closer to you and cut out the potty mouth trucker with his 10KW amplifier six states away. Delta Tune: Allows you to adjust the receive frequency slightly to tune in transmissions that may be slightly off frequency. Rarely used, but a neat feature if you are a CB enthusiast. Mic Gain: Pretty obvious! This allows you to adjust the strength of the signal from the microphone to the transmitter section of the radio. Nice feature to have. When you’re bunched up on a trail, you may have someone tell you that your radio is just too loud. You can turn the mic gain down just a bit to make things more pleasant for them. Built in SWR meter: Not really. Get a real SWR meter. Talk Back and Echo: Please don’t! Noise toys are an annoyance unless you’re trying to be cool with the truckers! Now, do you want a permanent or removable installation? If the answer is removable then, I have found what I think is the best of the best and that is the Midland 75-822. This is a great performing radio when coupled with an external antenna. It is powered by the cigarette lighter when in the truck. A discrete antenna jack can be installed in the truck for ease of removal of the radio when not in use. Couple that with an antenna with a quick disconnect and the radio setup is about as stealthy as they come when stored away. Pricing starts at around $90 and full kits with the antenna components appears to start around $230. You can do this cheaper if you get a magnetic mount “LilWil” antenna and have equally as good of performance. If the answer for you is a permanently installed radio then that brings the question of size and location. By far, the most popular CB radio (and smallest packaged permanent mount) on the market among offroad enthusiasts is the Cobra 75. It’s compact size make it very unobtrusive on the dash. The Cobra 75 is a standard 40 channel CB with 10 weather channels and a scanning capability. The radio is pluged into a remote mounted box which allows the radio to be swapped from rig to rig if you want. Pricing starts at around $110 and up. A complete kit with all the antenna components and installation supplies starts around $230. Absolutely perfect radio for truck to truck comms but light on “enthusiast features”. Next up are the “mid sized” radios such as the Cobra 19DXIV and Uniden Pro510XL. These radios can be mounted along the side of the center console or even inside the rear of the center console. They can also be mounted overhead. These radios are great performers as well. They aren’t going to be jam packed with features like the NOAA weather channels, Delta Tune, etc. Mid sized radios run in the $45-60 price range. Examples are the Cobra 29 and all of its 100 variations, the Uniden BC 980, and the Galaxy DX 939. These are the full featured (weather, USB/LSB, etc, powerhouse, “CB enthusiast” radios. (Yes, I own several) Drawbacks are that they are big and take up space. Pluses are that they do everything your could imagine and if you are really into the CB hobby as well as trail running, these are the radios for you. Prices around the net on these run from $100 to $200 for the radio alone and $275-$300 for complete packages. One last thing. No matter what radio you purchase, the installation and a quality antenna, properly bonded to the truck, and a properly adjust SWR make all the difference in the world. More to come on that in another article! I hope you found this helpful in your CB shopping adventures!